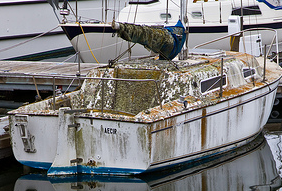 Do you have a boat that's worse for the wear that you need to get rid of? Are you unsure of how to properly dispose of it? The knowledgeable professionals at Couser Hauling can help! We specialize in boat removal and disposal in Baltimore, MD. Whether your boat is in storage or sitting in your backyard, you can depend on our team to haul it away for you for an affordable price. At Couser Supply, we strive to be an environmentally responsible as possible. Our team strips down every boat in an effort to salvage or recycle the materials, such as metal fittings. Are you interested in learning more about our services for Baltimore boat disposal? 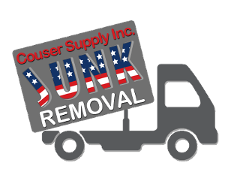 Call Couser Hauling today to consult with a customer service representative to find out more or schedule an appointment for same-day pick up. We are proud to serve customers throughout the Beltway, including those in the surrounding areas of Baltimore, Annapolis, Columbia, Glen Burnie, Alexandria, Washington DC, Arlington, Bowie, Hanover, Silver Spring, Bethesda, Pasadena, Rockville and Ellicott City.